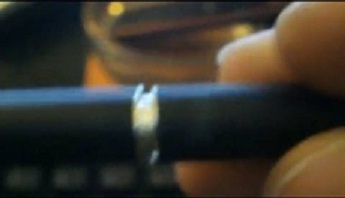 Most e-cigs look somewhat like analog cigarettes, but the process of using them corresponds more to pipe smoking (except we inhale). 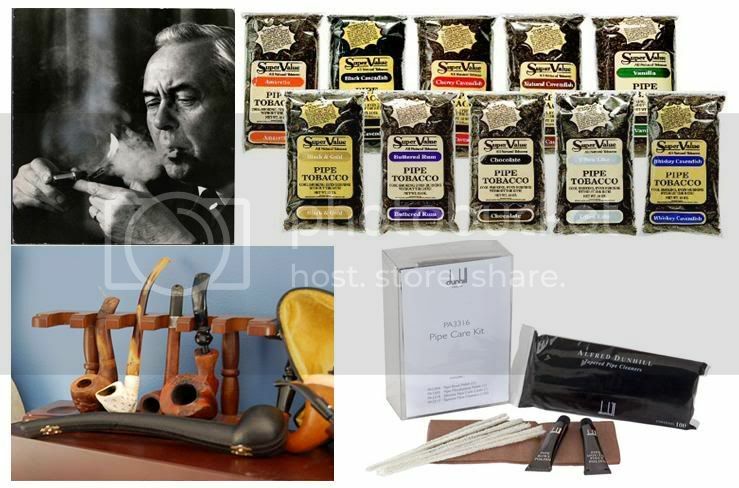 Pipe smokers use (and carefully store) various flavors of loose tobacco that they stuff in their pipes, light and relight the tobacco, use pipe cleaners to clean the pipe stems, and usually keep a variety of sizes and shapes of pipes: contrast Sherlock Holmes’ calabash pipe with Huck Finn’s corncob with a typical straight Billiard pipe. 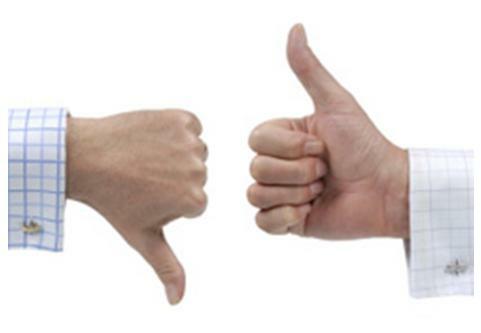 Similarly, there is more to vaping an e-cig than sticking it in your mouth and puffing. 1. Plugging In and Charging Up – The first thing to do when your order arrives is to charge your batteries fully, at least until the red charger light turns green. 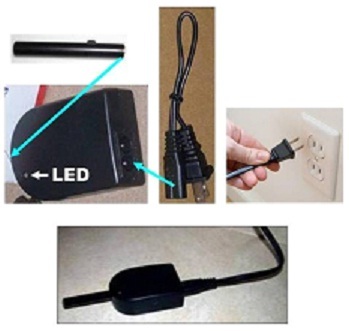 If you have a wall charger, connect the charger and cord and plug into a wall outlet or power strip. Screw a battery into the charger (notice that the LED on the battery flashes briefly and the light on the charger turns red). 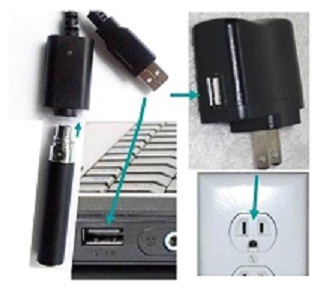 If you have a USB charger, plug it into a computer USB port … or connect it to the AC adapter and plug that into a wall outlet or power strip … and plug one of your batteries into the other end as shown here. When one of your batteries is ready, open up one of the filled cartridge packets. You see that there is a plastic “condom” on the end (to keep the juice moist). You remove that and put it to the side. 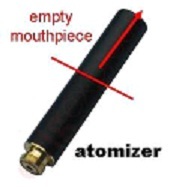 Remove the temporary empty mouthpiece from the atomizer (if there is one on your model) and put it to the side (you might want to use that in the future if you drip). 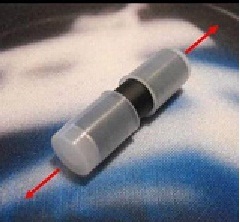 Push the cartridge into open end of the atomizer. Screw the atomizer into a fully charged battery. In the case of the KR808D-1 (or when using 510 cartomizers), remove the condoms from each end of a cartomizer and put them to the side (you’ll have a use for them later). Remove the plastic plug from the battery hole end of the cartomizer. 3. Filling Up With E-liquid – If you are not using prefilled cartridges, you’ve got to give your new personal vaporizer something to vape – the e-liquid. After introducing us to the three most common atomizers, Doctor Vapor demonstrates how to fill (or refill) your cartridge and to drip directly on the atty. He uses the Joye 510, but the principle is the same with any PV, from the smallest carts (e.g., for the super-minis) to the largest (e.g., for the penstyle and fat batts). Dripping or dipping works very well when sitting at my desk at home. Its downside is that they are awkward to do when out and about, especially when driving. For that, cartomizers are a boon; you can fill them up when you are back at the ranch.